Puregoldstick: Replacing your Switch Plates? Do a Double Take! Replacing your Switch Plates? Do a Double Take! 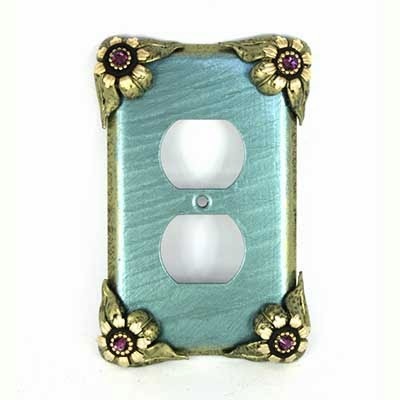 Oh, once there was a time, when switch plates were easy to understand; small openings for toggle switches, roundish openings for outlet covers and the fancy thingamagig was a round dimmer knob. But that was a while ago. Now we're all wired for contemporary lifestyles and choosing switch plates requires some thought. Fortunately the electrical industry has made it a little less complicated because all switch plate designs have to comply with industry stardards. But you still have to take a good look at what's on your wall. Especially take note of your outlet covers. There's more than one kind of receptacle for plugs and you want to be sure you're ordering the right configuration. I mention this only because it seems to be a common mistake that we notice with our customers. 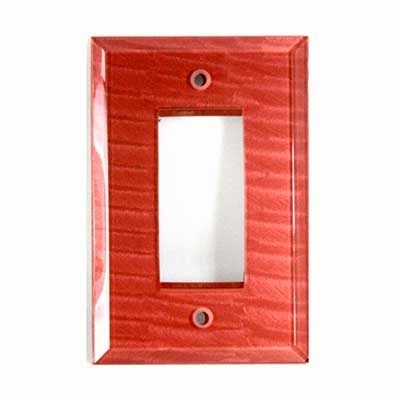 We use the terms decora or rocker to define our wall plates with wide openings. Although typically it may be a push switch, this wide size also fits all kinds of outlets, lighting controls, telephone devices and you name it. It's definitely the most popular configuration of today.